The Pakhal wildlife sanctuary is a striking, coveted tourist spot located in the Warangal district, Telangana. 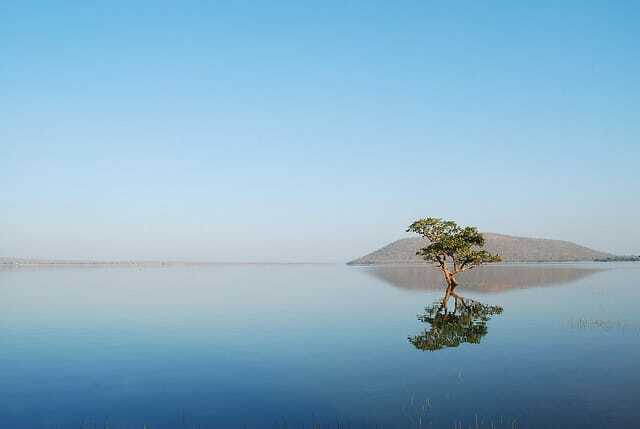 Set around the shores of the Pakhal Lake, it was established in the year 1952 by Kakatiya Dynasty. It was in the 13th century that this lake was reclaimed and named after the man who excavated it. The vast terrain of this beguiling sanctuary is covered by an area of 860 square kilometres. It presents a beautiful landscape with mesmerising range of low hills where wild animals are given a chance to nestle in the plateau with safe ambience. The environment of the sanctuary and the Pakhal Lake provide the untouched beauty of nature. It provides a wide variety of flora and fauna amidst a wonderful backdrop. This bio diversity is a striking feature that has earned a name for this sanctuary attracting lots of local and international tourists. 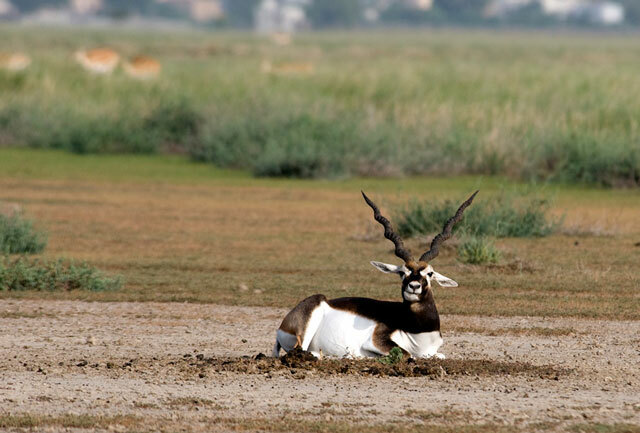 Pakhal wildlife sanctuary experiences a tropical climate throughout the year. Minimum and maximum temperature varies from 15 degree Celsius to 45 degree Celsius respectively throughout the year. Most of the inhabitants can be seen in their natural habitat during winter months. Average rainfall is at 1225 mm. The months between November and June are apt for visiting this sanctuary. Although the temperature starts to soar up from the month of April up to 45 degrees in the June, the climate remains cool and pleasant due to the lake and the mountains all around. Bamboo trees, teak trees, dry and deciduous vegetation are scattered throughout the region interspersed with patches of evergreen trees and shrubs. Some of the deciduous species found here are: Bombax ceiba, Adina cordifolia, Bridelia retusa. Among the evergreen vegetation, the species include Aegle marmelos, Mallotus philippensis. The forest is home ground for animals like sloth bear, sambhar, antelope with four horns, Nilgai, chital, blackbuck, mountain gazelle, wild boar, panther, hyena, jackal, wild dog, porcupine, languor. If, one is lucky, one can spot a tiger or a leopard or a herd of spotted deer left free in the wild. The presence of Pakhal Lake attracts a number of migratory birds during the winter. Reptiles – Python, cobra, common krait, monitor lizard and crocodiles are commonly found reptiles. Nearest Airport- Hyderabad International Airport at about 240 km distance is the closest airport. Nearest Railway Station– Warangal railway junction, at a distance of about 60 kilometres, is the closest station to reach this place. Visitors can take Narsampet Warangal division which is 50 kilometres away from Warangal. Road Accessibility– It is well connected with important cities like Secunderabad, Hyderabad, Vijayawada, and Visakhapatnam and through state-run or private-run buses. Rented cars and Jeeps are best ways to reach the sanctuary by road. PWD rest house at Sulurpet is the best place for accommodation where you can indulge in various activities like- bird watching, Jeep Safari and nature walk. A number of tourist packages are available to explore the jungle. Haritha Kakatiya hotel in Warangal City handles the tourist flow to the heritage city of Warangal and other close by tourist attractions. I want complete details of Pakhal lake and wild life sanctuary. Any package for holiday?